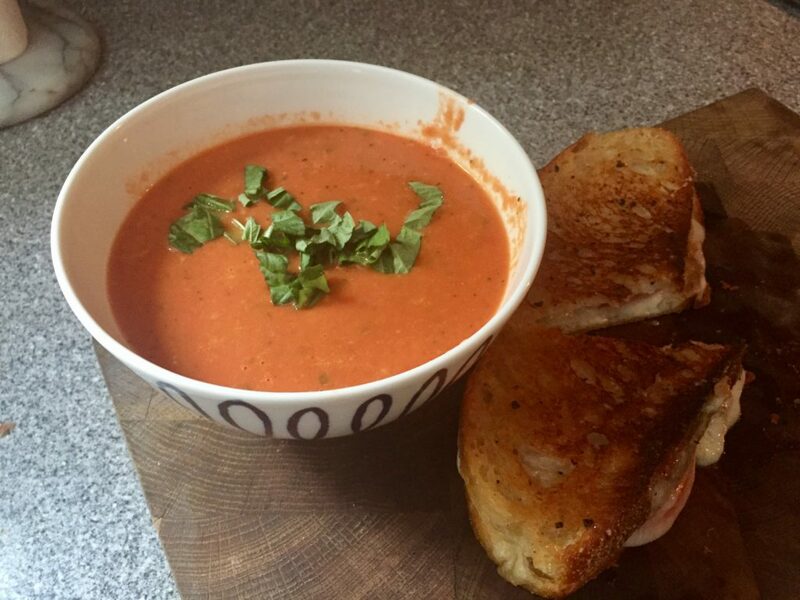 On this very cold March day, I decided to create a meal that isn’t very diet friendly: tomato basil bisque & grilled cheese with truffle butter. I’ll start planning for bikini season tomorrow. 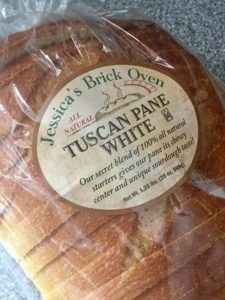 After a first tasting, I decided I would share my recipes for all to enjoy. They are that good. I used a crockpot and a Ninja for the soup. A stove with a frying pan for the sandwich. 1 small container of heavy cream (I went with Hood). best thing since betty white. Optional ingredients I know my husband will request: tomato and/or any kind of meat. As far as how much of what to add for the soup- I never follow recipes to a T. I always wing it for taste. Gordon Ramsey would be pleased. The only ingredients I actually “limited” before throwing into the crockpot were of the dairy and spice categories. I used 4 tbsp of butter and a good pour of the cream that probably amounted to 3/4 a cup. The parmesan cheese I did a healthy handful…and then added some more. As for the spices, just add to taste. It’s all up to you, really. To cook soup: add ingredients to the crockpot and set on high for 3 hours. I went ahead and blended all the ingredients (to make it a more smooth consistency, but you can keep it chunky if you like) in my Ninja after about an hour, and then added it back to the crockpot to continue to simmer. Add fresh basil on top to garnish. For the sandwich, I would start by truffle-buttering one side two slices of bread. I might even use the truffle butter to oil the pan. 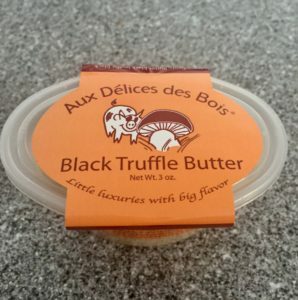 Hey- I love truffles and butter, don’t judge. I think by this point if you don’t know how to make a grilled cheese from here then I certainly would be delighted to help you: butter-side-down bread to pan, cheese (add as much as you like), bread-butter-side-up. Heat on medium. I would do 3 minutes and then flip, making sure the butter side is again down (but you keep checking to make sure it gets a nice brown, not black). My husband would have me add two slices of tomato with the cheese, but I go with the basics. to answer your question, yes, he wanted tomatoes. told you. I suggest making more than one sandwich. Don’t worry, it will get eaten. Now serve, dip and enjoy. This entry was posted in dating, love and relationships, reality, sunshine and tagged all-clad, butter, comfort food, cooking, Gordon ramsey, grilled cheese, grocery shopping, jessicas brick oven, katie schmidt, new hampshire, organic, recipe, red wine and advertising, soul food, tomato soup, truffles. Bookmark the permalink.